Fed up with waiting hours or days for a single query to run, Todd Mostak devised a way to massively accelerate SQL using GPUs. Now that GPU-powered analytics are going mainstream in the big data space, the former MIT CSAIL researcher and his company, MapD, are positioned to capitalize on the trend. Datanami: Hi Todd. Congratulations on being named a Datanami Person to Watch in 2017! With the launch of MapD, 2016 was a very exciting year for you. What are your plans for 2017? Todd Mostak: First off it truly is an honor! Yes 2016 was a phenomenal year. We not only launched our product but won Gartner Cool Vendor, announced our investment/partnership with In-Q-Tel and then were featured as part of the GPU cloud launches for both AWS and Google Cloud. However 2017 is going to be even more exciting both for MapD and for the GPU computing space. We’ll see significant scaling of our company, continued rapid evolution of our product roadmap, deepening partnerships with major players in their ecosystem and the unveiling of major strategic initiatives that unfortunately I can’t talk about yet. This dovetails with the continued breakneck growth I’d expect to see of the GPU ecosystem, with GPU penetration of both the data center and the cloud likely doubling if not tripling this year. Datanami: As data continues to grow explosively in the enterprise, we see more companies turning focus to GPUs for everything from databases to visualization. How do you envision the future of the GPU/CPU race for enterprise end users? The end game we’re looking is not so much either CPUs or GPUs “winning” but a hybrid compute scenario emerging where organizations leverage different types of compute that match their workloads. I do think that for analytics and visualization use cases it is hard to beat GPUs for their parallelism, their memory bandwidth and their rendering capabilities and so would expect GPU-powered analytic platforms to significantly increase their market share and become ubiquitous in the coming years. At the end of the day the math and economics are on the side of GPUs for these scenarios. Datanami: What trends do you see as being most important for big data as we look to 2017 and beyond? I think people are going to continue to look for end-to-end analytics platforms that provide analysts and data scientists a complete set of tools with which to understand their data. For example, Spark is already doing that to a large degree by not only replacing traditional Map Reduce use cases but by handling SQL and ML workloads as well. Likewise, Elastic provides a full log analytics stack from ingest to visualization. There is a gap however in the GPU ecosystem as people are using disparate and unconnected tools for their querying, visualization and ML needs. While I don’t know if you’ll see the rise of a single system or platform for GPUs I do think there will be a push for greater interconnectivity such that the systems that do exist can share data more easily. Datanami: Outside of the professional sphere, what can you tell us about yourself? Any fun facts or hobbies? Aside from running MapD and spending time with my family, my idea of a fun time is finding a bit of time to code up something as I find programming to be an immensely creative endeavor. These days I might only have a few hours on the weekend so it tends to be a quick prototype of an idea we might look to implement. Even after all these years though the idea that you can build essentially anything you can imagine simply by typing things into a computer is still mind boggling to me. 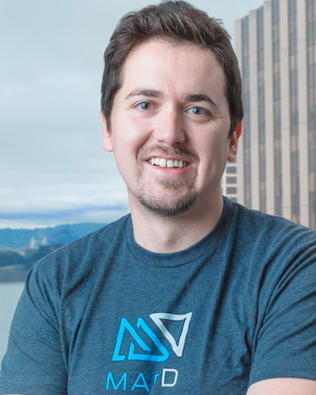 Todd Mostak is the co-founder and CEO of MapD Technologies. Todd built the original prototype of MapD after tiring of the inability of conventional tools to allow for interactive exploration of big datasets while conducting his Harvard graduate research on the role of Twitter in the Arab Spring. He then joined MIT CSAIL as a research fellow focusing on GPU databases before turning the MapD project into a startup in 2013.